Welcome to BuyRacking.com of Louisville and Shephersville Kentucky. Our Buyracking.com facility is in Shepherdsville, Kentucky, which is about 15 miles south of Louisville. 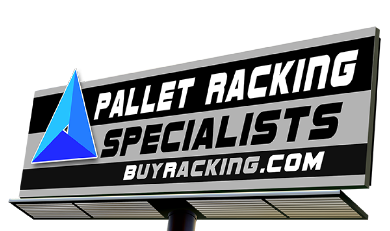 At BuyRacking.com Pallet Racking is our specialty. 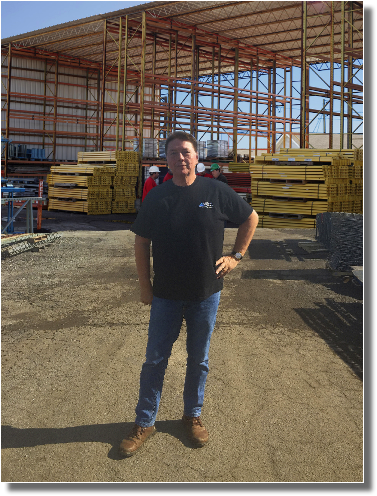 We buy, sell, trade, and service pallet racking." Don't hesitate to call . . . It doesn't cost anything to talk! We provide 25 years experience in developing, designing and implementing cost effective solutions in material handling and warehouse processes. In other words, we can design a complete warehouse solution, developing new processes or improving on existing processes. 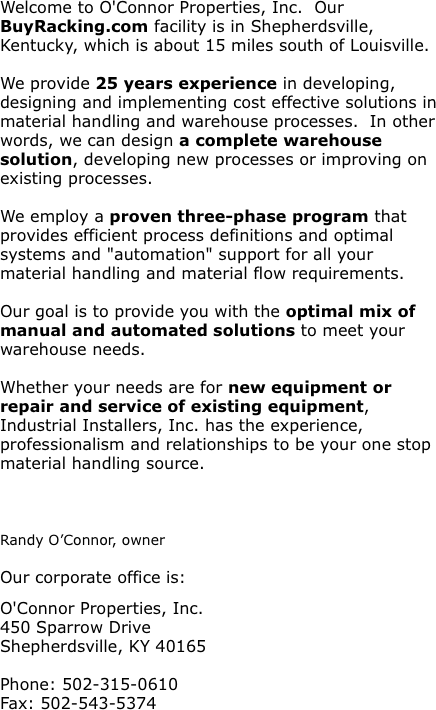 We employ a proven three-phase program that provides efficient process definitions and optimal systems and "automation" support for all your material handling and material flow requirements. Our goal is to provide you with the optimal mix of manual and automated solutions to meet your warehouse needs. Whether your needs are for new equipment or repair and service of existing equipment, Industrial Installers, Inc. has the experience, professionalism and relationships to be your one stop material handling source.